This might sound like extra credit for doing nothing, but hey, it's a guarantee. 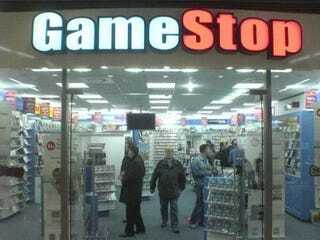 Buy a used game online, GameStop supplies the art and the manual. No more generic game cases on your shelf. The wannabe-lawyer in me wants to note that they don't say "case" and, as you know, there are variances in case design among the 360 (green), Wii (white) and PS3 (clear, and the art format is shorter and slightly wider.) But they also guarantee that the game arrives "packed with love." Which is kind of awwwww or ewwwww depending on how you want to view it. This is not applicable to in-store used games where, of course, if cover art and manual matters to you, you can like verify its existence before you buy. Further, it concerns 360, PS3, Wii, DS and PSP games only, not PS2, not GameCube, etc.